In its 2015 Holiday Shopping Report, Key Lime Interactive (KLI) reveals the results from its January post-holiday survey of 500 consumers. The report focuses on consumer spending behavior as it relates to online and mobile purchases during the holiday season. The report examines consumers’ usage of different channels (websites, mobile apps, mobile sites, brick-and-mortar stores, and more), tendencies to use different devices (Smartphones, tablets, laptop/ desktop computers), as well as the top triggers and influencers that lead consumers to make online and mobile purchases (such as marketing, promo codes, free shipping, convenience/ speed, and brand loyalty). 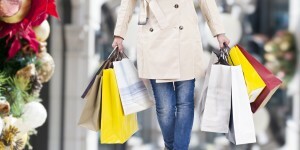 – Which retailers are winning in the online and mobile channels? – What are the most effective and enticing incentives? – Did consumers spend more or less online this year? – Have mobile purchases increased or decreased? And why? – What made for the best online and mobile experiences? Get the full details on this report by watching our webinar event.